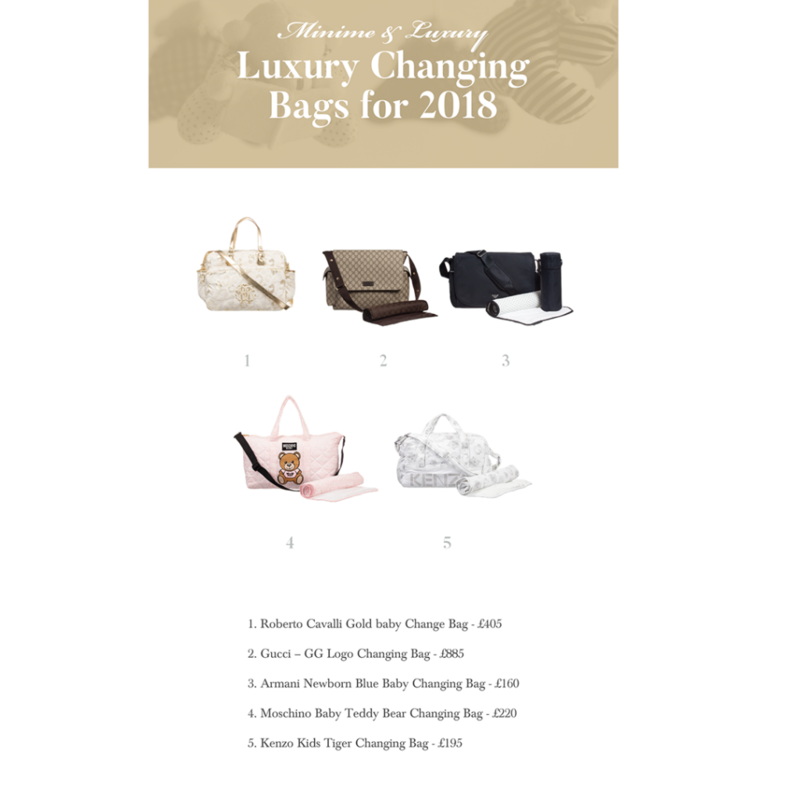 We’ve taken a look for some of the most luxurious changing bags on the market so have a browse through our list of luxury changing bags that are hot for 2018. 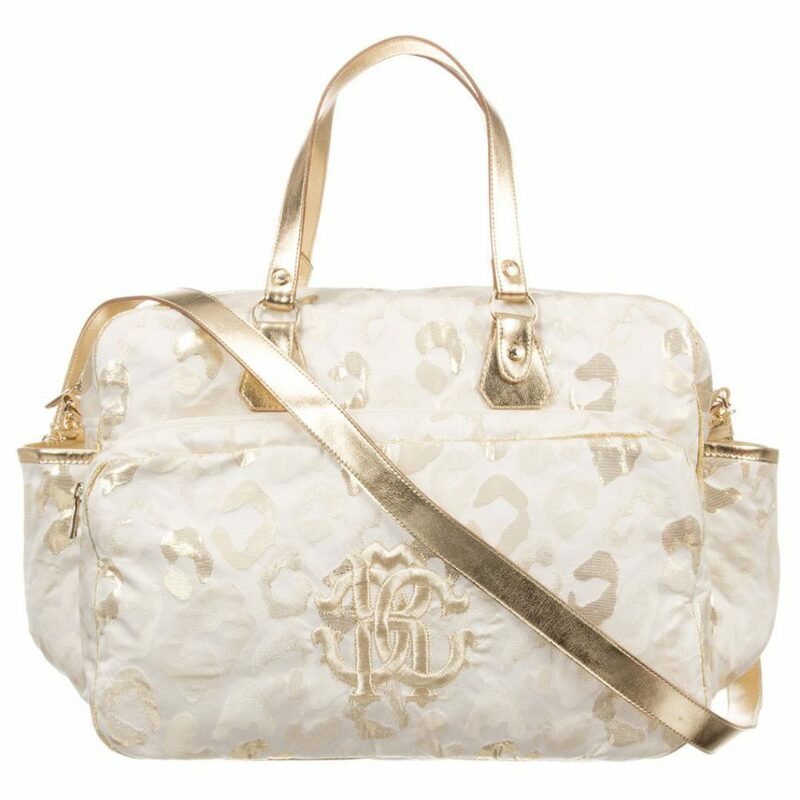 Roberto Cavalli – Gold Baby Change Bag – £405. Designed by Roberto Cavalli, this luxury gold baby change bag, has a leopard jacquard weave in the fabric, with gold leather trims and an ‘RC’ logo. There is a removable leather shoulder strap and two carry handles, with a zipped side pocket, slide pocket and zipped main compartment. The inside is quilted, with elasticated pouch pockets. 2. Gucci – ‘GG’ Logo Changing Bag – £885. 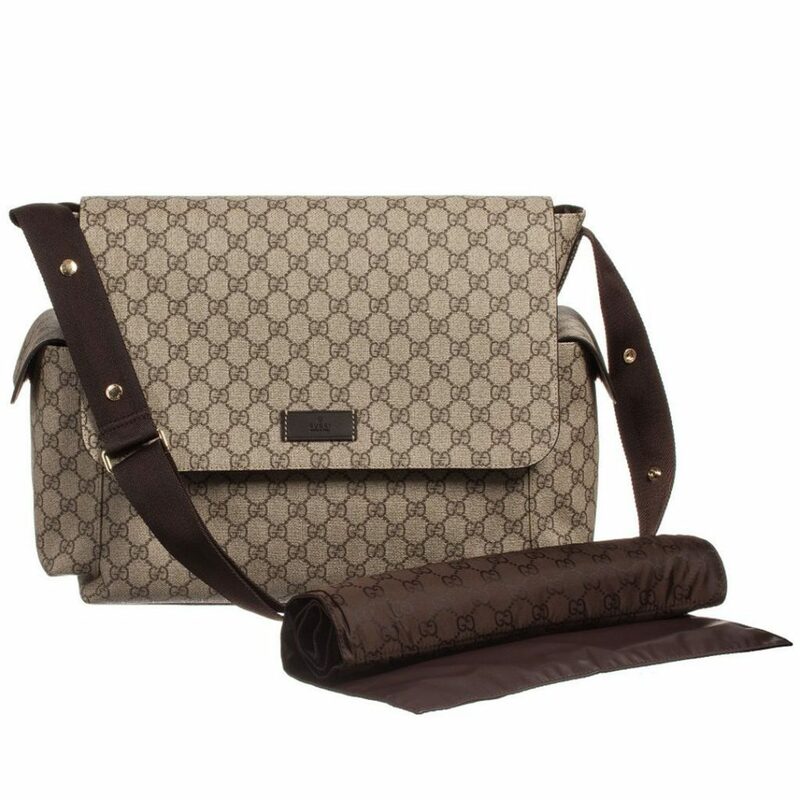 Pack all your baby changing essentials in Gucci’s Supreme Canvas beige changing bag with its iconic ebony and cocoa interlocking ‘GG’ print. This luxurious bag has a velcro flap fastening, with elasticated pouch pockets on the inside. On the outside, there are two end pockets and one on the back, all with velcro fastening. The webbed shoulder strap has leather trims and poppers to create buggy loops. Also included is a wipe clean padded changing mat with the designer’s ‘GG’ logo. 3. Armani Newborn – Blue Bay Changing Bag – £160. This compact and versatile navy blue changing bag by Armani Newborn, has lots of pockets, perfect for storing essentials for mum and baby. It comes with a handy changing mat and an insulated bottle bag. Easy to close, it fastens with magnetic poppers and has an adjustable strap with padding for the shoulder. 4. Moschino Baby – Teddy Bear Changing Bag – £220. This pink, lightly padded and quilted cotton jersey changing bag has an all-over logo print, with the designer’s signature teddy bear on the front. The spacious internal compartment is made in easy-to-wipe PVC and contains two smaller side pockets, ideal for carrying all of baby’s essentials. 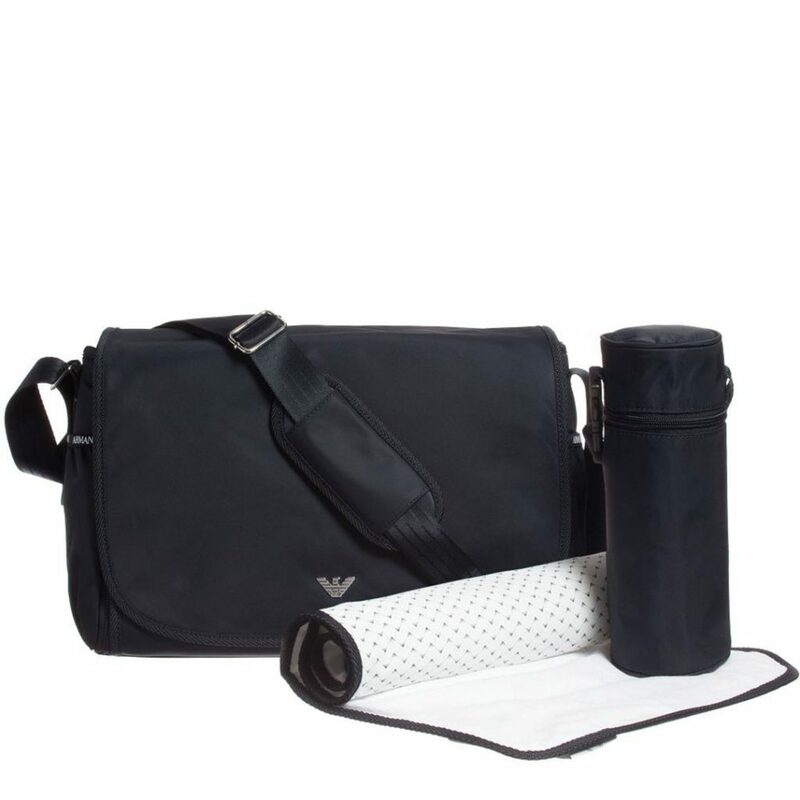 It comes with a changing mat, fastens with a zip, and has an adjustable shoulder strap and two carry handles. 5. Kenzo Kids – Tiger Changing Bag – £195. There are plenty of pockets and pouches for all your baby essentials inside this white Tiger & Friends changing bag by Kenzo Kids. Lightly padded, the bag is made with a cotton jersey exterior and wipe clean interior, and it comes with a matching changing mat. Whether you carry it by the handles, the straps or attach it it to your stroller, it is a super stylish bag to take on everyday adventures with your little one. What do you pack in yours? Nice bags. Thanks for sharing.